Bounding Box Illustration Simple Inline example illustrating bounding box coverage. Bounding box lines are not typically rendered. Coordinate Axes X Y Z axis arrows and labels in X3D coordinate system. See CoordinateAxesExample for use as an Inline coordinate-system reference frame. 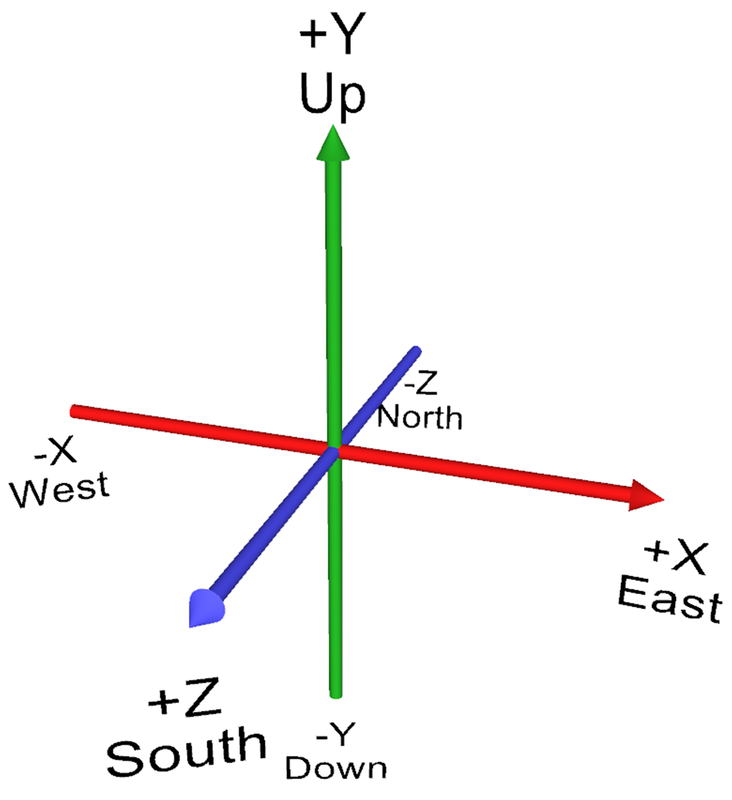 Coordinate Axes Inline Example X Y Z axis arrows and labels in X3D/VRML coordinate system. Shows use of CoordinateAxesVrml as Inline for coordinate-system reference frames. Coordinate Axes Lines X Y Z axis lines (red green blue, respectively) in X3D coordinate system, providing a simple reusable widget. Coordinate Axes NSEW X Y Z axis arrows and labels in X3D coordinate system. See CoordinateAxesExample for use as an Inline coordinate-system reference frame. Inline Inline example that loads Hello World example. Inline Kelp Forest Inline example that loads the Kelp Forest world. Order Of Operations 1 Illustration of Order of Operations: initial and final results from translation, rotation, and scale operations. Order Of Operations 2 Illustration of Order of Operations: initial, intermediate and final results for scale, rotation, and translation operations. Transform Center Offset For Rotation Use Transform center field to compare original Cylinder (left) to rotation about middle of object (middle Cylinder) to rotation about bottom of object (right Cylinder).